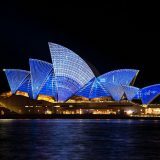 If you are moving to Australia we provide a complete door to door service. We have a vast network of reliable and professional agents across Australia to take care of your goods on the final leg of the journey. We offer a wide range of services to Australia. If you need an express airfreight shipment of unaccompanied baggage or an entire container of you and your family’s belongings, we can assist you in this life changing move.